Getting there by tram: Travel to the Sultanahmet Tram Station. From the tram station walk down the hill on the left side of the road. Take the first left onto Ticathane Sokak (street). You will see Mosaik Restaurant on your right. When you reach Mosaik Restaurant turn right onto the small pedestrian lane-way. This is Incıli Cavus Sokak. Fuego Cafe & Restaurant is near the end of the lane-way on the left. Getting there by taxi: Taxis can prove difficult as often roads are closed close to our meeting point. If you do get a taxi, ask to be taken to Yerebatan Sarnıcı (also known as the Basilica Cistern in English). The Cistern is located on Yerebatan Caddesi in Sultanahmet (Caddesi means road in Turkish). You will see the Basilica Cistern located close to the marker in the map above. The marker is Fuego Restaurant. Directly behind the Cistern entrance is a small park with restaurants like Sultan's Pub, Omer Restaurant and Bodrum Restaurant lining it. These restaurants are on a pedestrian walkway. Incili Cavus Sokak runs off this pedestrian walkway. 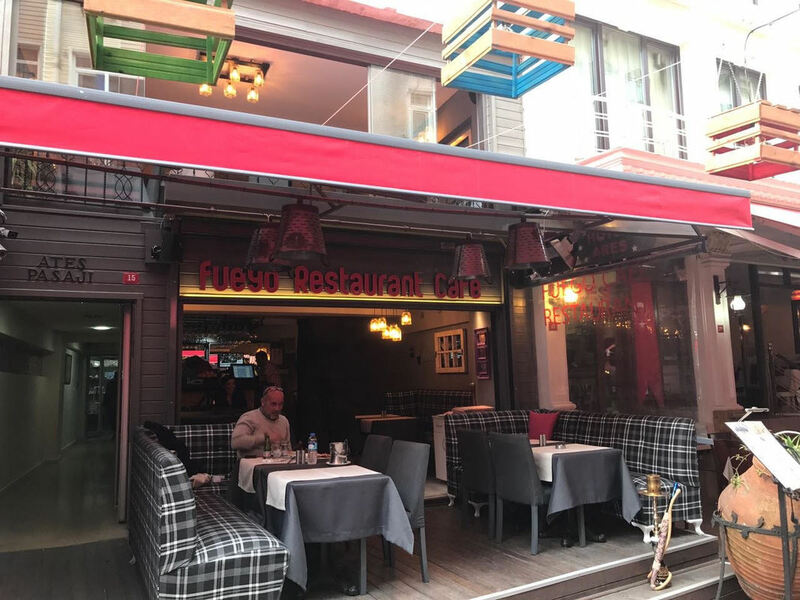 Fuego is the second establishment on the right on Incili Cavus Sokak, located next to Ares Hotel. Please note for morning tours, the Fuego Restaurant may not be open but please wait for your guide to arrive.